The large coupé was based on the then current 5 Series and borrowed much of that car’s technology, including some of the engines. Comfortable and big, it looked to be a return to form for the firm, though its price and running costs ensured it never sold particularly well in Ireland. Although the 6 Series line-up originated in 1976, the second generation model actually took over from the less than successful 8 Series when it was released in 2003. The large coupé was based on the then current 5 Series and borrowed much of that car’s technology, including some of the engines. Comfortable and big, it looked to be a return to form for the firm, though its price and running costs ensured it never sold particularly well in Ireland. But rarity is a good thing when it comes to coupés and convertibles, which is handy as BMW Ireland only sold one in the whole of 2010. The statistics don’t make for much rosier reading in the preceding years either - 2009 netting a measly nine registrations, 79 for 2008 and in 2007 only 140. But at least buyers had plenty of choice - as in 2004 the Coupé was joined by the handsome Convertible model with the distinctively designed fabric roof. 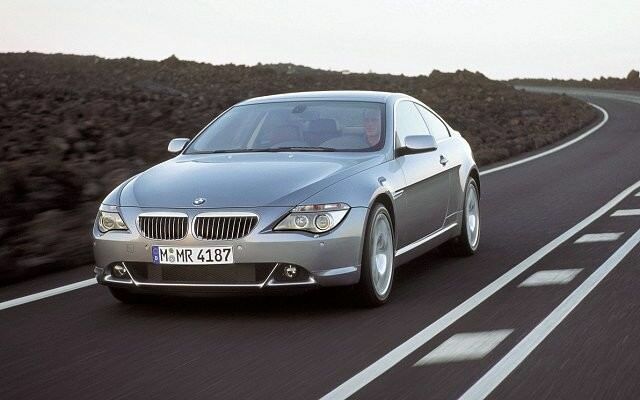 It was at this time the smaller-engined 630i joined the 4.8-litre V8 of the 650i and the 4.4-litre V8 in the 645i. In reality it’s this 258hp 3.0-litre straight six (272hp after 2007) that makes the most sense. A diesel didn’t arrive until 2007, but the twin-turbo 635d is a corker and if you can find one on the used market, it's worth the extra money commanded over the petrol models . Not only did it match them for pace, but also afforded owners the luxury of 41mpg (6.9 litres/100km), despite the 286hp and 580Nm on offer. A choice of six-speed manual, six-speed automatic and even a seven-speed SMG single-clutch semi-auto were offered depending on model. The latter is clunky around town and best avoided. All are well equipped with plenty of toys, though the larger wheels on M Sport versions can make the ride a little unforgiving on anything but the smoothest of roads. If you can find a good 635d, then buy it. They’re incredibly rare on the used market though, so it’s more likely you’ll find yourself looking at a 630i, which offered an acceptable compromise between performance and efficiency. Go for a later model if you can, as the boost in power makes it feel much livelier. We’d also stick with a standard or Sport badged car, and you can expect almost all examples to be fitted with the excellent automatic gearbox, which suits the car’s GT character perfectly. As a luxury GT the BMW 6 Series is something of a master with a comfortable interior and a range of engines offering a decent compromise between power and efficiency. There wasn’t many sold when new, which though making it exclusive, also makes it hard to track down on the used market. Regardless, find a good one and you’ll be able to enjoy the distinctive looks and impressive kit levels for years to come.